Closing the Hotel Kitchen is about war. It is also about falling apart when that is the only route left to sanity. It takes place during the 1960s and early 1970s, from New York's streets to Vietnam and India. Untouched by nostalgia or baby-boomer sentimentality, these poems offer a searing, visceral look at the narrator's attempts to find hints of coherence within a violent world unexplained by his inherited Christianity or his family's patriotism. Scenes and imagery pertaining to place, class, and ethnicity fuel the book from beginning to end. Presenting an up-close portrait of the experience of a previous era, the book sheds an unsettling light on the present one in which our nation continues to stumble over issues evoked here. But Bohm's often dark lyricism also offers more than a journey into an abyss. His poetry, displaying a capacity to listen to others' voices and assimilate their experiences, provides glimpses of transformation. 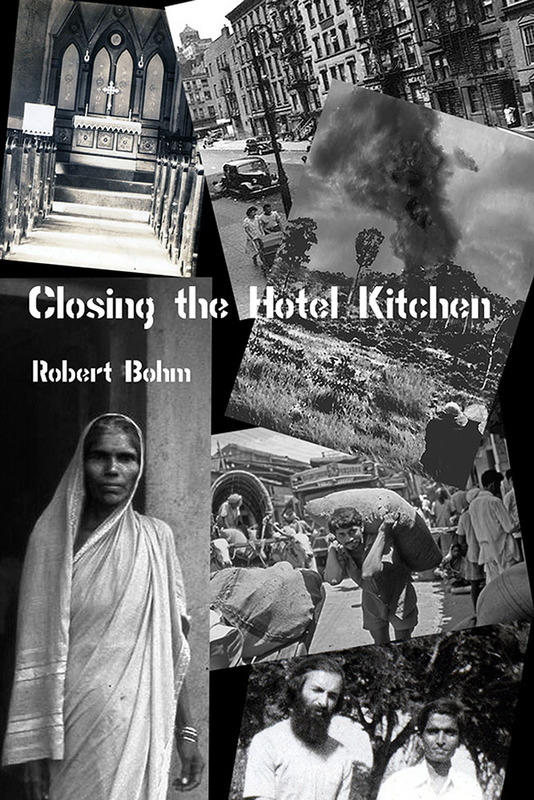 Robert Bohm is an army vet from the Vietnam period; he is married to Suman Kirloskar from India. His book In the Americas received the GLCA award for best poetry book by a new writer. His works also include his long anti-Iraq-war poem Uz Um War Moan Ode and collection Notes on India. He is a freelance writer.